We’re heading into spring soon, one of busier times in the publishing year. Plus March is one of those lucky months for new book lovers that has FIVE Tuesdays! Why do new books come out on Tuesday anyway? 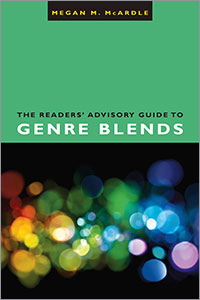 I’ve scoured sites for forthcoming books and pulled together the titles that look like they combine genres to bring you another genre blend new releases list. As always, I have tried to list the genres in the order os seeming importance to the story. For example, HISTORICAL/ROMANCE would be a mostly historical fiction novel with a romance, but ROMANCE/HISTORICAL is a romance novel with a historical setting. Make sense? Let’s round up March’s new blends!